Home » School News » It’s #GivingTuesday! After a weekend of gratitude and time spent with loved ones, Giving Tuesday is an online opportunity to give back to local communities and compelling causes. 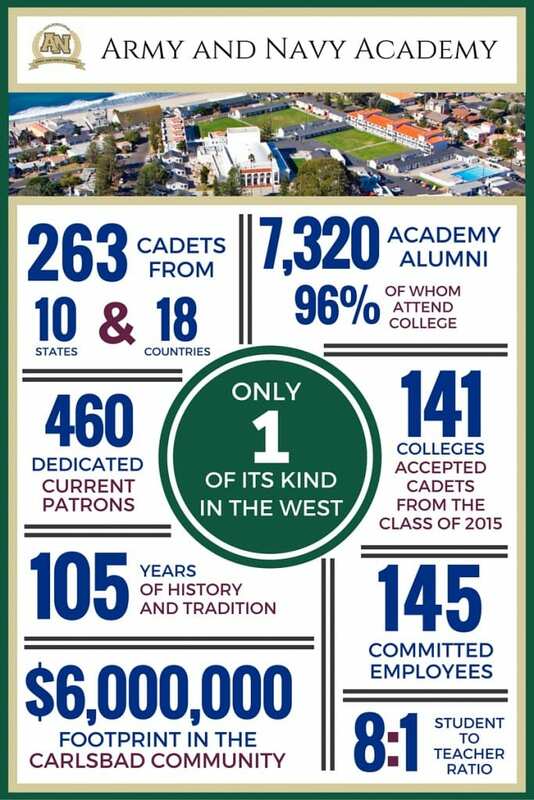 This year, we ask that you use Giving Tuesday as an opportunity support the Army and Navy Academy and our Cadets. Some of you may have spent time in the Recreation Hall on the westernmost side of campus, near the beach. It is designated to give Cadets a unique space of their own to decompress and have fun after classes and on weekends. The Rec Hall offers a snack bar, televisions, games, and thanks to the generous support of two donors, a new basketball hoop game, ping pong table, and refurbished pool tables. We’d like to build upon the support we have already received to make it a more inviting and comfortable space for our Cadets. With your help, we can purchase new furniture and flooring, taking the Rec Hall to a new level. Today’s goal is to raise $10,000 to give the Rec Hall a much-needed face lift. We hope you’ll consider supporting the Army and Navy Academy this Giving Tuesday with a tax-deductible donation by clicking here. Questions? Call 760.547.5276 or send us an email.